Dr. Abdunoor Mulokozi Kabanywanyi is a principal researcher and clinical epidemiologist at Ifakara Health Institute. He is a medical doctor and holds MSc and PhD in clinical epidemiology from the University of Rotterdam in the Netherlands and Basel in Switzerland respectively. 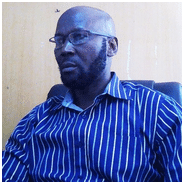 He joined Ifakara health Institute in 2001, where since then he has worked as a clinical researcher. Dr Mulokozi has researched mostly on anti-malarial drugs and tropical neglected diseases. He has implemented Clinical trials ranging from early phases to field epidemiology research and Pharmacovigilance. He provides medical care to patients, he also teaches and has published in the area of malaria drugs. Dr Mulokozi is currently working on two research projects; 1) Safety of artemisinin based combination therapy in Tanzania, and 2) A phase I palatability trial of plazquantel new formulation in African young school children. Dr Mulokozi plans to extend his research on malaria in pregnancy, over the next four years, 2017-2020.